School is wrapping up and I like to tell the amazing teachers in our life thank-you. Thank-you for loving our kids, thank-you for taking care of them, thank-you for helping their minds grow and thank-you for the endless effort and investment in the future of our children. 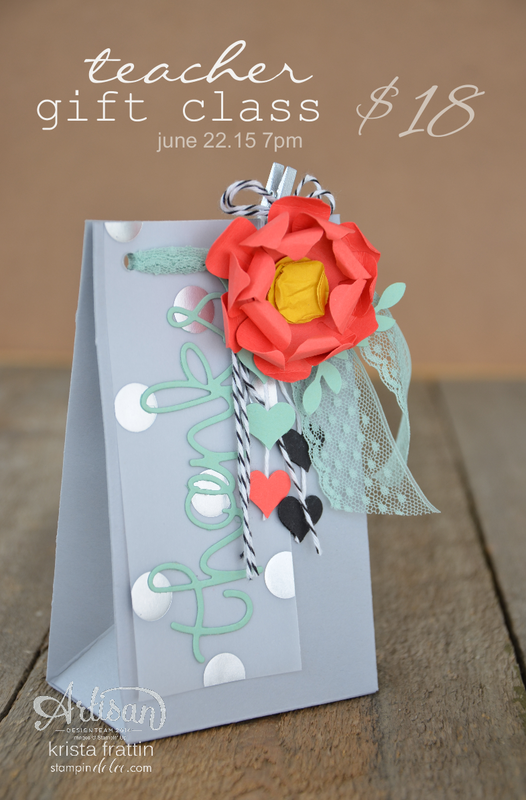 Having three kids, with two or three teachers each, means that I do not have a huge budget to spend on special thank-you gifts. I created these mini gift bags and I am going to put a coffee gift card with a few chocolate treats in each bag. 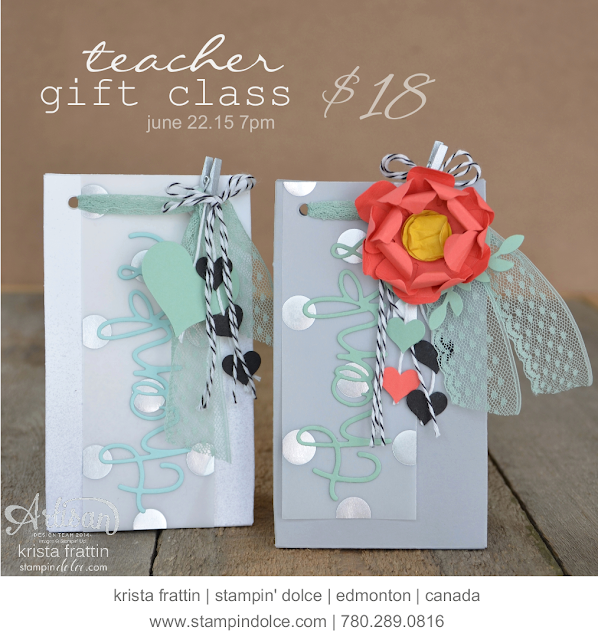 I have had a number of customers asking me to a teacher gift class so I thought this would be the perfect one! If you are in the Edmonton Area on June 22, 2015 please join me! You are going to love making these gift bags in this class with the new Gift Bag Punch Board ... so much that you just might want your own! 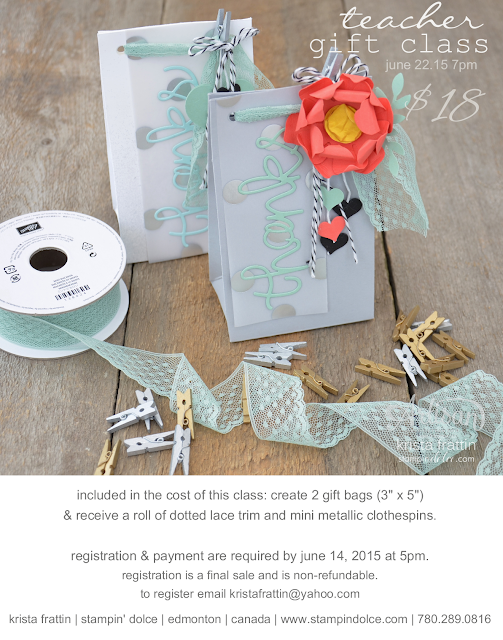 I am offering a special with this class. 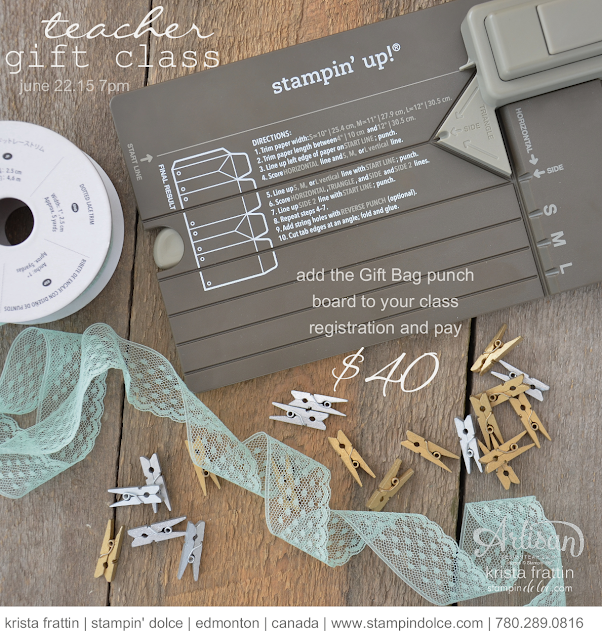 Add the Punch Board to your class registration and pay only $40 total! 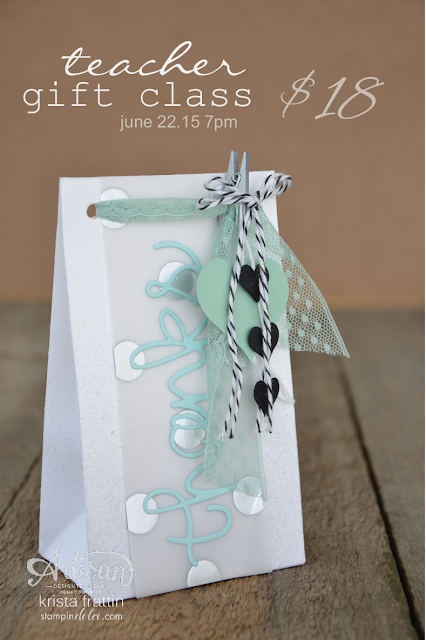 That is for the projects, lace ribbon, clothes pins and the punch board!! (Punch Board value $28.88 CAD). Do not forget that registration closes at 5pm June 14, 2015. To register email me at kristafrattin@yahoo.com.